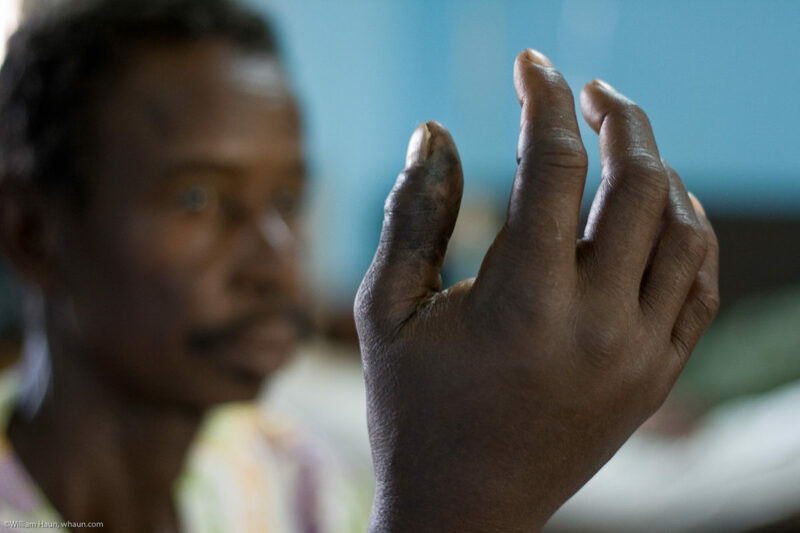 A man holds up his swollen hand after being bit by a venomous snake in Nalerigu, Ghana. 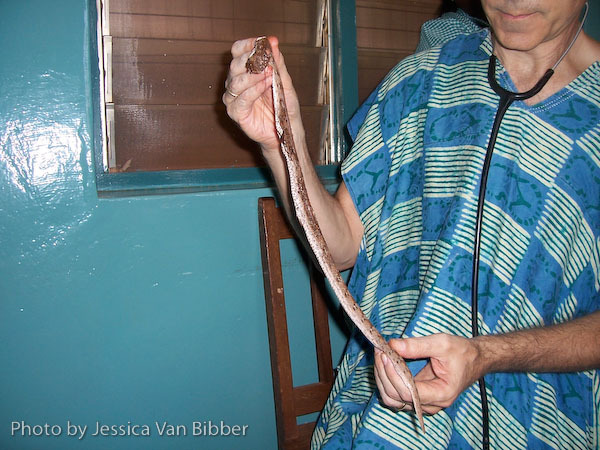 Dr. Earl Hewitt holds a dead carpet viper (saw-tooth scale viper) that a BMC patient brought in after being bit. Patients come in to BMC with snake bites on nearly a daily basis. The most common snake here in the northern region of Ghana is the carpet viper. Its venom is a hemotoxin which causes the blood to be unable to clot. Because the venom is an anti-coagulant, patients may begin bleeding internally, from the gums, in the urine, IV puncture sites, etc. Envenoming causes pain and swelling at the bite site and up the affected limb. Most bites are on the feet from walking in the tall grasses at night, but I have seen several bites on the hand and even one cobra bite on the upper abdomen. Patients who have the most complications are usually the ones who come to the hospital several days after being bitten. 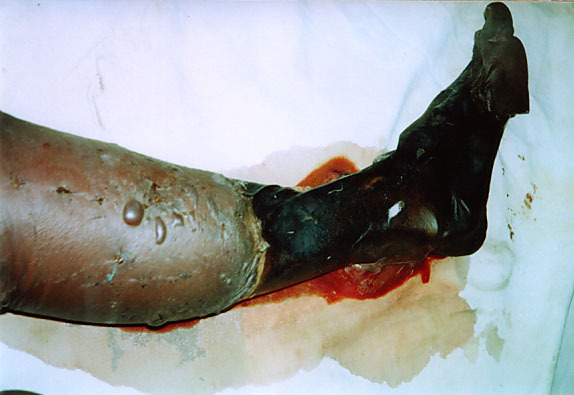 The swelling in the limb begins to cut off the blood supply to the tissues and can lead to death of the tissues. Surgery in these patients is difficult until the blood begins clotting again. 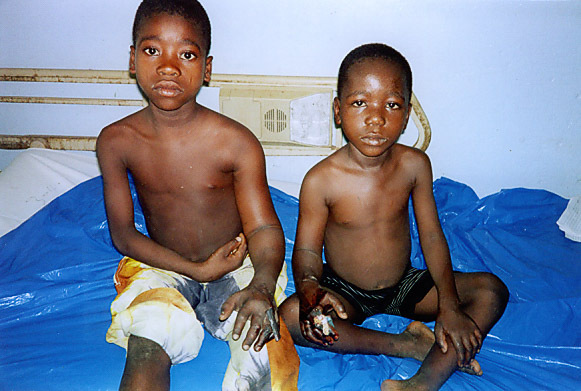 A while back, I wrote about one young boy, who had a snake bite on his foot, came to the hospital 5 days later and even with proper treatment, the leg was not salvageable. The father however refused amputation because the boy was his only son. The father took him home against medical advice and we have not seen him since. 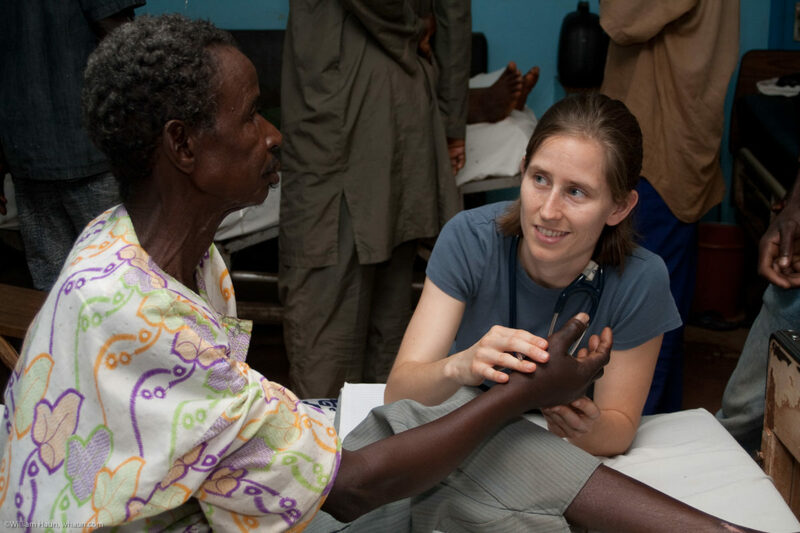 Volunteer medical student Heidi Haun examines and discharges a man recovering from a snake bite on his hand. When a patient comes in with a snake bite, he is sent to the lab to have his blood tested – a 20 minute whole blood clotting time. The result is reported as either “clotted” or “no clot.” if the patient’s blood does not clot, he is admitted for administration of ASV and monitoring for any complications. Anti-snake venom (ASV), pain management and elevation of the effected limb are all part of the treatment protocol for snake bites. After ASV has been administered, another clotting time is checked at least 6 hours later. If it clots, then it is checked again later that day or the next morning. Once the patient has “clotted” twice and is clinically stable, he is usually discharged and does well. The patients who continue not to clot are given repeat injections of ASV (if it is available). The doctor on call each night has to make sure there is at least one thing in his fridge – ASV. If a patient comes in who does not clot, a nurse brings the patient’s chart to the on-call doctor’s house. The doctor signs off on the chart and hands over a vial of ASV. Once the pharmacy closes for the night, only the doctors (and medical students) are allowed to keep the ASV. It is in limited supply and there have been several times while I have been here that the BMC ran out of ASV. It is fairly expensive (I think >$60 a vial is what I heard) and is imported solely by the government and distributed to the hospitals in the country. Any ASV that shows up in local pharmacies is basically from the black market.